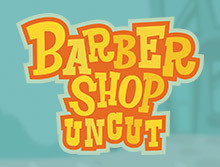 Barber Shop Uncut is a barber-themed video slot game by Thunderkick. The online slot game comes with 15 reels along with 40 paylines. The look and feel of this game emulate an animated version of a real barbershop. You will adore the backdrop of this game for it has a very light-hearted vibe. Thunderkick seldom comes with such innovative themes that can be so captivating and relaxing at the same time. Barber Shop Uncut will give you ample opportunities to take a big payout home. So, this game will be perfect for times when you are looking to kill some time and make some real money on the go. The game has a lot to offer, so the players might keep coming back for more. Barber Shop Uncut takes major inspiration from a very famous slot called Barber Shop which has been discontinued. So many players may already relate to this game. The game is compatible with almost every operating software and electronic devices. So, you can enjoy this game at the comfort of your home while using your Tablet, PC or smartphone. The game can be played from a small amount of 10p, the cost can go as high as £100 per spin. The minimum coin(s) per line used in this game is one. The minimum coin size is 0.1 while the maximum size goes up to 100. Barber Shop Uncut also has a jackpot which will render you a payout of 400x times more than your stake. If you luck out, you attain a prize of 2,355 times your wager on each spin. The RTP of this game is 97% which is very good in comparison to most RTPs offered by slots these days. Barber Shop Uncut bears its resemblance to a cutely animated salon. The game has a total of 7 main symbols. Out of these, there are 5 symbols which are of different customers waiting for their turn on the service chair. The rest two symbols are the sharp-edged razor and shaving cream. 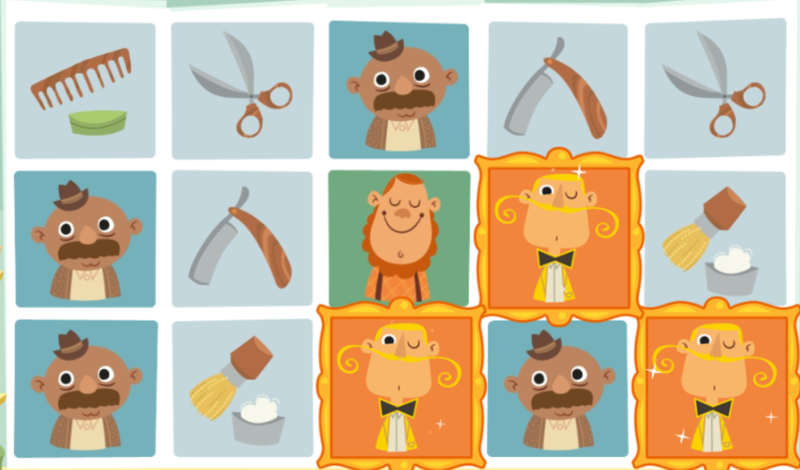 The adorable interface of this game gives the waiting customers an animated shave when players land their winning combinations. Other symbols included in this game are shaving brushes, combs, scissors and similar tools. An important tip here is that amongst the waiting customers, the customer with blond hair is of the highest value. If you win combination on that symbol then you can get up to 150 times more than your stake. Respin: Barber Shop Uncut has a Re-spin feature which can be triggered when you land any win using bonus symbols amounting to 3 or more. As, when this happens, the symbol which has contributed to your win gets locked in a place as the progressive spins happen. This gives you an opportunity to increase your wins in every consecutive spin. The re-spins will continue to fall in your lap until you can no longer form further wins. Free Spins: Free spin is a feature which is the most sought after. In Barber Shop Uncut, free spins are the main attraction. To trigger free spins, you have to be on the lookout for 5 or more of bonus symbols to appear anywhere on the reels. When this happens, you will first get rewarded with 10 free spins. And, with every new bonus symbol, you will avail 2 new free spins. This will go on up to 30 free spins. Moreover, all the wins attained in this period will be on a 3x multiplier by default. Inwinity Spin: This is a special feature which is only exclusively found on Barber Shop Uncut. The benefits from this feature will be reaped when all the free spins present in the Bonus Game have been exhausted. As after that, you will continue to pile on more free spins until you get a winning combo which ensures the end of the entire frenzy on a rather lucrative note. These three bonus features are really appreciable and that’s about it when it comes to bonuses. Barber Shop Uncut gets full points in the department of graphics, backdrop, and animation. This game is so cute that you may not be able to take your eyes away from the animated customers. The game has a good RTP of 97% along with a chance of winning 2,355 times more than you wager. So, this game is not only light-hearted and cutesy but also very lucrative. The bonus features are also aplenty. So, players are in it for a treat. You can try other games from Thunderkick as well. They are just as good as the Barber Shop Uncut.